Whether you are planning a bin rental service for a renovation of your home or office, or thinking of re-doing the roof, or just simply cleaning up your home or office of all the junk, waste disposal and management can pose a challenge. However, to keep your surroundings and the city of Burnaby clean, it is necessary to carry out effective waste management, which results in perfect sorting and recycling of the waste for an eco friendly environment. To help you dispose off the waste in an easy and timely manner, there are many bin rental services in Burnaby, which are just a call away to help you with this task. Any of these service providers can offer you bins on rent that are perfect for any kind of junk disposal needs. These services often provide consultation in determining which disposal bin is suitable for your needs. The rental charged for these bins may vary depending on factors such as type of waste, weight of the wastage, and driving distance to the site of waste collection. There are many service providers, which even go the extra mile and offer help in sorting and dumping the waste in these bins. These bin rental services in Burnaby are of great help in disposing off the waste in the most effective manner. Bin rental services make available containers in a wide range of sizes to suit the scale of your waste management. Just call any of these rental services and get started with your waste disposal in the most efficient manner. 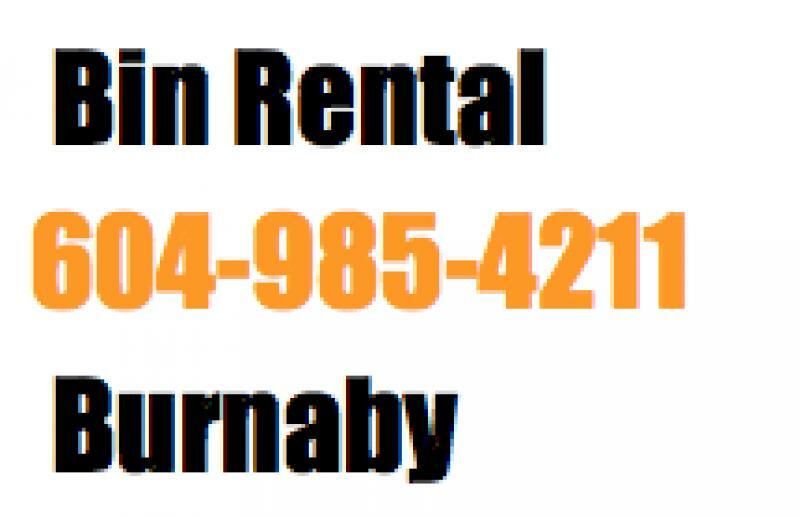 Watch our bin rental service in Burnaby video. Watch our bin rental service in Burnaby.